#MyFriendAlexa is an initiative by BlogChatter to help us blog better. I am fairly new to blogchatter and this is my first #MyFriendAlexa campaign with them. As a digital marketer, I tend to use all the tools for the betterment of a client’s business or campaign, however, forget to implement the same for myself. I don’t know about you, but I come up with loads of excuses the moment someone points it out and though I can see through my flimsy excuses, I haven’t done much to improve. So I am taking #MyFriendAlexa as a challenge to push myself to work for my blog, my personal brand, which has been neglected for way too long. I am supremely thankful for communities like BlogChatter as its because of them, people like me get the necessary push (or should I say kick :P) to better ourselves. I usually write about parenting (no advice, only personal experiences or my confusions) try my hand at short stories or micro-fiction and my advice or experiences as a Digital Marketer. As you can see my Digital Marketing section is the shortest as I am usually lost about what to share that will be helpful without being overwhelming. It’s not necessary to have a theme for My Friend Alexa, however, I have decided one for myself. 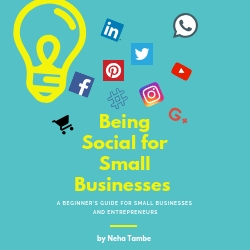 I will write eight posts that might be helpful for bloggers or small businesses to push themselves on social media. These will be tips, hacks and maybe ideas to try out. I will touch upon all the major social media channels and what I know about improving them. So be it Facebook, Instagram, Youtube or Twitter, hope you will find a tip or two that you would like to try. Hope you enjoy these posts. Do add in the comments below, what you would like to read more about. That will give me ideas for the posts and hopefully helpful information for you. Congratulations and welcome aboard to Alexa! You will love it, and love what it does for you and your blog. 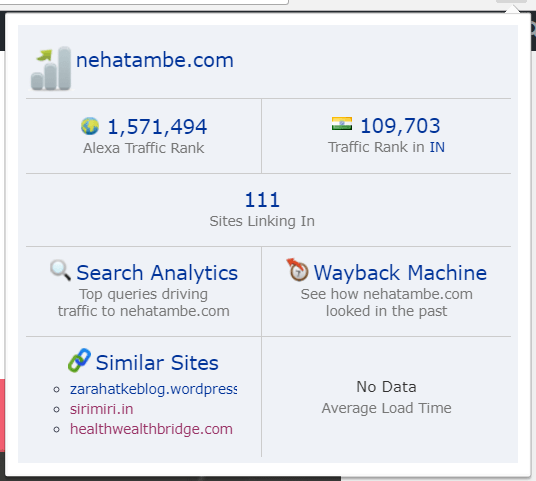 I love your theme, Neha and look forward to reading your posts and learning from them. This campaign is fun and glad you are a part of it too. It is going to be exciting when you see the Alexa going down. All the best. What fun .Will be picking the mind of a digital marketer .loads of fun and information. wishing you all the best for your month long alexa activity! Being a digital marketer, your Alexa stats show your skills! All the best, Neha!